It's that time again, North American gamers, for the Nintendo Download Update. It's a busy line-up this week with a long-delayed and eagerly anticipated Wii U eShop arrival, along with some other intriguing new titles on the store. There are also three Virtual Console entries on the home console, along with plenty of discounts and a couple of demos to consider - let's get to it. Missed the European Nintendo Download Update details? Fear not, it isn't the apocalypse, you can still read all about it right here. Oddworld: New 'n' Tasty! (Oddworld Inhabitants, $14.99 / CAD$19.99) - This release has had a protracted route to the Wii U as the developers grappled with porting the title to the hardware, though its arrival does eventually bring a high quality puzzle platforming experience. We'll give this one a taste test for review. 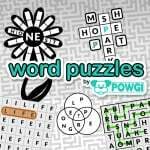 Word Puzzles by POWGI (Lightwood Games, $9.99 / CAD$12.99) - The latest word game arrival from this studio, this time around there are six core pen-and-paper style games with hundreds of puzzles between them, all designed to give your brain a workout. This also support all amiibo figures and cards, as scanning them will create puzzles using the name data stored within; we'll get working on a review. Cutie Clash (Yazar Media Group LLC, $1.99 / CAD$2.69) - The 'Cutie' series continues with this bizarre multiplayer brawling game featuring swamp chickens, in which "you need to vomit and bomb your way to the top". Its appeal is clearly based on quickfire comedic battles, and we'll see whether it's fun or a bit of a fowl up in our review. Cutie Pets Go Fishing (Yazar Media Group LLC, $1.99 / CAD$2.69) - No, this isn't a fishing game, but rather a tile matching title with a fast-paced mode or a 'Zen' option; we'll see how it matches up to similar eShop games in a review. 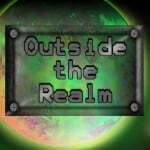 Outside the Realm (TreeFall Studios, $0.49 over launch weekend, then $1.99) - Another budget eShop arrival that focuses on touch-based puzzles on the GamePad; there'll also be some side-scrolling bonus sections. We'll launch into a review soon. 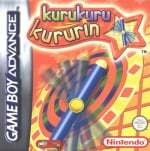 Kuru Kuru Kururin (Nintendo, $6.99) - This Game Boy Advance title is pitched as one of the most challenging puzzle games that can be found. It puts you in control of a rotating helicopter that must be carefully manoeuvred through increasingly tight and tricky labyrinthine levels; it starts simple but soon you'll be facing moving pistons, floating spikes and all manner of dangers. We gave this a strong recommendation in our Kuru Kuru Kururin review. Big Brain Academy (Nintendo, $6.99) - A title that helped to define the concept of the DS, and contributed a great deal to the portable's incredible success, arrives as the latest DS title on Wii U. A collection of minigames to test your faculties and (hopefully) show progress with practice, we gave this a reasonable if not glowing recommendation in our Big Brain Academy review. 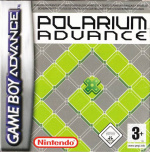 Polarium Advance (Nintendo, $6.99) - The eShop is well stocked with puzzle games, though Nintendo is keen to boost the Wii U library with this somewhat unique Game Boy Advance title; your goal is to flip tiles in one move so that they're all matching colours. It makes sense when you play it, and we gave it a strong recommendation in our Polarium Advance review. Word Puzzles by POWGI (Lightwood Games, $9.99 / CAD$12.99) - We expect this to be effectively identical to the Wii U version, and it'll also utilise amiibo on New Nintendo 3DS models or using the NFC portal on older systems. We'll think of the right words for a review. That's the North American line-up for this week - let us know what you plan to download in the poll and comments below. I am passing this week too. I will wait on Abe's review. Well, they certainly know how to help a person save money. Thanks. I'm pretty sure I rented Oddworld back in the day and it was one of those games where the characters and premise were interesting and memorable, but the game itself was a clunker to control and I didn't make it very far. Not sure if I'd be interested in a remake of it or not. Decent amount of releases and sales this week. 3 Wii U VC releases? We are getting spoiled. I'm not sure if I can fit Oddworld on my 8 gig system, what should I do??? Wow a whole $1.50 off Shadow Puppeteer. I was going to say I'm shocked The Legend of Legacy is already on sale but then I remembered it's been out in the US for awhile now. Nothing for me. I'm waiting for mario kart 64 and wave race 64. Nindies picked a good week to love us, will show them some love in return. Nice. I'll be grabbing Oddworld and I'll give that Kuru Kuru game a shot. Anyway, super-pumped to sink my teeth into New & Tasty!! Still no clue when the Bravely Second demo is coming to NA? Nothing for me this week great job Nintendo for saving me money. Wow, Kurukuru Kururin was not originally released in North America. Kuru Kuru Kururin is a fantastic GBA game that missed out on a US release. I should really download this myself. Wait for pokemon vc.Nothing this week. Nothing for me... Again... Where's Xenoblade?! @SetupDisk Unfortunately not, but the game is released in April in NA, so I'd guess late March / early April if they match the EU approach of the demo coming about two weeks before the main game. @Smoo Wii U owners are getting spoiled. Its 3DS owners that once again get the short end of the stick. I honestly don't get Nintendo's logic here. Why are they spoiling the failing system when they have 50 million+ owners of the 3DS who are hungry for Virtual Console games week after week? Don't get me wrong, I'm glad they are supporting the Wii U, but I'm just tired of it always being at the expense of the 3DS. Laaame. Oh well, I have a large backlog anyway. Anyone know how many puzzles are in the 3ds Word Puzzle game. The review lacked it. No reviews I found has it. The price is steep considering you can get 300 puzzles in Penny Press puzzle magazines for far less. @Eisenbolan The game tracks your progress out of 480 puzzles but many of these are split into sub-puzzles, so there's even more than that make it sound (e.g. 6 Word Maze games per "puzzle"). Plus infinite additional puzzles using amiibo! Donald Teump should also say how he will make NOA release good VC games on a weekly basis if he gets elected in addition to all the other promises he made. It's neat to see kuru kuru kururin finally came over here. I'm interested in playing it. 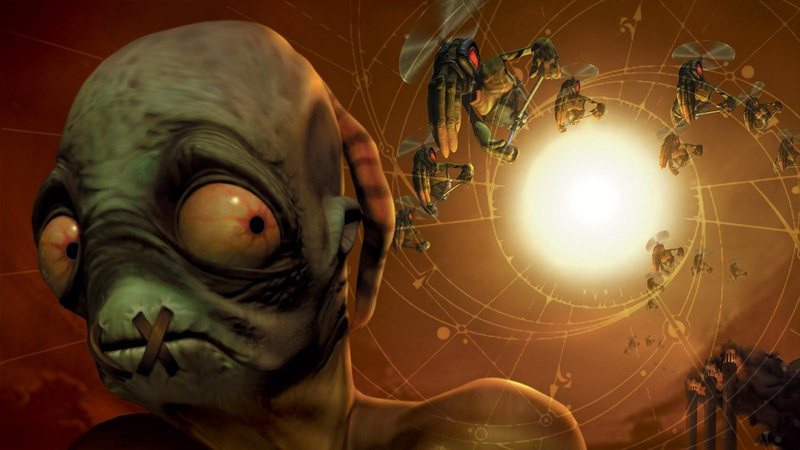 people should give oddworld a chance. i have the original version on PC. and me and my brother love it. it's a pretty great platform. anyways might get oddworld on wii u just for a heck of trying out the game on a console. so well see. also 3 VC games? Nice! Already got New 'n Tasty on my PS4, so looks like I'm bowing out this week. Well, at least we got three VC games instead of just one. Congrats on getting Kuru Kuru Kururin America since it was never released in the region originally. Pick it up, it's very fun. Another week where there is some good things happening, but little that interests me. But that is ok because I am still finding things to do in Mario Maker and Xenoblade Chronicles X in the little time I have right now to play anything. If those fail me, I still have Zero Mission to finish. It's important to keep in mind just how tough it is to support 2 entire platforms by themselves. And if that's not enough, it's that time of transition where they also must now prepare games for the next incoming platform. @chrisnewman thank you for the info. Will get this game. I been wanting to get Girls Like Robots but the price and my personal backlog keeps me from buying it. I might consider it a bit more now but still unlikely. Was hoping for Wave Race 64. Nothing this week. I'm surprised Legend of Legacy is already on sale. I might pick it up before it goes back up. Gonna need that Oddworld review to see if I get that as well or not... Other than that I may not even get anything from this week at all! Wow 3 vc titles in one week?!?!? Wow that 3ds is really being strongly supported. Kuru Kuru Kururin! Sweet! I've been wanting this game ever since I read about in a magazine around the GBA launch. To everyone who will get Polarium: Don't bother setting the correct date, it's absolutely pointless. Great I love VC. But i miss the portable ones, I want GBC and GameGear games too in the 3DS. Kuru Kuru Kururin over here! I was lucky enough to find the European version of the cart locally, and it an absolutely charming gem!!!! I'm definitely going to pick it up on the U. Will have a look at that 3DS demo and that's all for this week. I don't think I'm alone in feeling like we're gearing up for the last big gasp for it here in the next couple of weeks with FE, Mega Man and VC pokemon. I am a bit curious why people vote for nothing when there are demos out, there's straight up no downside unless you're totally out of memory. Only 15$ on Odd World while 20€ in EU? Enough with the GBA VC games. $29.99 for Oddworld, yeah I don't think so... And NoC wonders why digital sales are plummeting, are you serious? Nothing for me, which is good. Got a bunch of new games already, and there's Stardew Valley coming at the end of the month. Anyone who owns a Wii U and is saying there's nothing good this week needs a reality check. Kuru Kuru Kururin is a fantastic game and has never been released in North America before. That alone makes this a special week. "VC Goodness" ... ya, when you don't actually list a VC game title I already know not to expect anything worthwhile. How long was it that Nintendo plans to make us wait for games to come out for the 3ds? Obviously they are in no hurry. Still no Mario Kart 64, Animal Crossing Wild World, Super Mario 64 DS, Super Mario RPG, Wave Race 64, or now Pokemon Mystery Dungeon. FFS NoA. I was thinking about Shadow Puppeteer. May get seeing it's new and already has a discount. What I really want are the 2 new Star Wars pinball tables from Zen - which all other systems have received, but Nintendo. ugh. VC galore? Lol 2 of those really nobody cares about and then a random maybe probably not for most. Um...Kuru Kuru Kururin is $4.99 on the eshop right now. Um...you might wanna download it before Nintendo notices their mistake. Releasing games no one gives a tin schilling about. American VC fans - complains when VC games don't get released, complains when VC games do get released, won't go back and download games that they've passed on earlier. It's one thing when good VC games get released, it's another when garbage games get released. Actually a pretty solid selection, especially for puzzle fans. Nothing I'm super into though, so I'll grab Girls Like Robots for 5 bucks. Looks fun and reviewed well. Fire Emblem next week! The drought is over! A lot of games are 50 percent off! I got the MUNCHies for some Odd World! Guys please, please download kuru kuru kururin. It is such an intense action-puzzler and it is so good. It isn't special to look at all but it has the nastiest, trickiest, albeit super tight gameplay. I have imported them all. Definitely worth checking out. Getting kuru kuru kururin and Polarium Advance at very least. Kuru Kuru Kururin is calling my name. Now we need the GBA sequel and the GameCube game as well. Nut 'n Honey. Nintendo really needs to get their heads out of their posteriors and release more VC games on the 3DS, starting with GBA and SNES games! Wow, what a joke. I bought Oddworld New & Tasty on my Vita & PS4 for $7.99. The weekly update for Nintendo is a joke indeed. @KnightRider666 Also don't for get if you also have a ps3 it is also included with that single $7.99 purchase. So PS4, PS3, Ps Vita all for a total of just $7.99 vs $14.99 for Wii U only yeah the playstation cross-buy is a way better deal. Especially since you actually have a off tv play version you can take anywhere. @mowerdude: That's right. Nintendo needs to get with the program. I used to be a Vita hater until Black Friday last year. Very happy with it, and all the PSP & PSX games on their version of the "Virtual Console". Their weekly sales blow Nintendo out of the water too. @Caryslan The 3DS Virtual Console is a dead end, the Wii U Virtual Console will be available on NX day one. That's why. All poop. I'm done. Like another poster asked though, where is 90's arcade racer!? @RobNYC1977 been waiting for 90s arcade racer forever!! I'll even take it on xone or ps4 if that's how it happens!! Here's hoping the Wii u version wasn't canned!! Picking up the word game for 3DS. I'm a sucker for them, and intrigued how they are incorporating amiibo. Still baffling how Nintendo has yet another week with so many options on Wii U, but basically offered peanuts for their more successful system. Kinda sad to see people complain just because they don't see something they want and are unwilling to read descriptions about classic games they're missing out on or complaining about the Odd World price when the indie devs went out on a limb to bring it to Wii U and basically ported it from scratch. Sales aren't bad either. I'm honestly glad that the eShop isn't full of those penny sales that are devaluing games everywhere, but even if you can't appreciate that, you have to understand that those can only be helpful to developers if they sell very high volume and the Wii U isn't really capable of that. I wish Trackmaniaturbo was coming out for WiiU, i am so excited for this game for the PS4 coming out this Spring. The first one on the Wii is pretty cool. I promised @sinalefa I wouldn't talk about that game anymore unless Nitneod talks about it first. I was disappointed it wasn't on the now deleted Selects list, guess it didn't sell well enough? Both my kids have started their own XCX save, that'll keep'em busy for awhile. And One Piece Unlimited World Red has both a good arena mode and JRPG lite mode. DI Battlegrounds and Pokken T in another month. And Red or blue (whatever colors those games are).